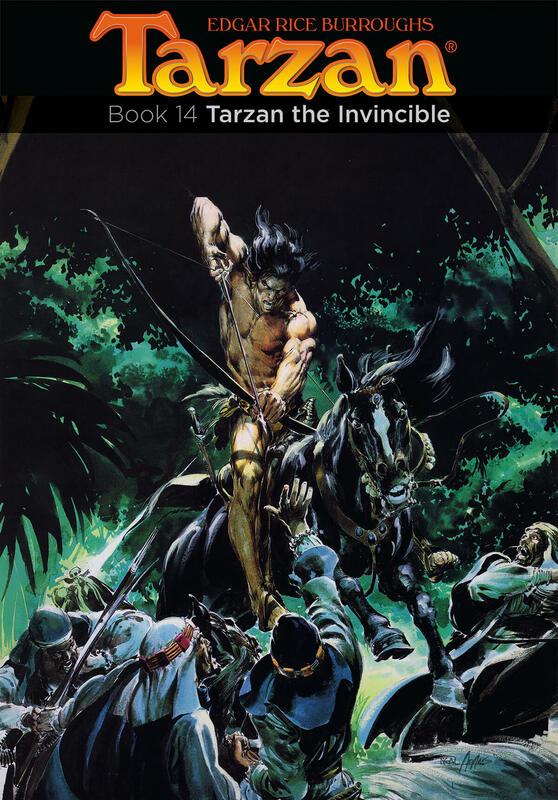 I have to credit Neal Adams for getting me to read my first Edgar Rice Burroughs’ book – Tarzan of the Apes – in 1977. Having read his DC Comics work, Neal Adams was the epitome of what comics could be to a 12-year-old boy. That he did some of his best painting work on these covers for Ballantine in 1976 is what drew me to buy the book. All the covers, except for the first one, were collected in a series of three portfolios published by SQ Productions (Sal Quartuccio). In addition, there are Tarzan and the Ant Men and Tarzan Lord of the Jungle paintings included that weren’t used on their books. In all, Adams had 12 of the 24 covers with his paintings. 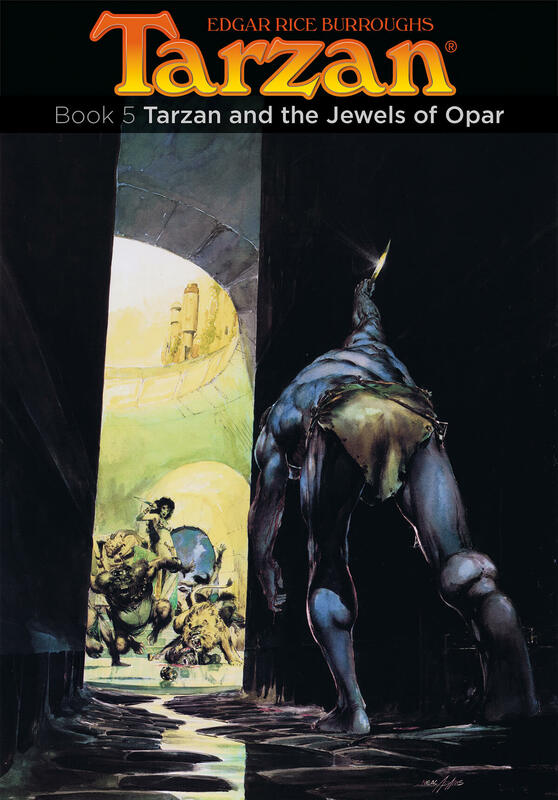 The other 12 were done by Boris Vallejo and were quite different in emotion and execution. While Vallejo’s were painted with the lush techniques of the old masters, distancing Tarzan to some inaccessible romantic past, Adams’ work jumped off the page with the youthful American energy of the now. Adams’ Tarzan was alive, fierce and feral. Adams sells prints, portfolios and other items through his website, and has a number of Tarzan pieces listed. And here are a few with a new type scheme, one that puts more emphasis on the power of the image. I did the series up for personal ebooks. Neal Adams is one of my comic heroes. I enjoy his earlier works, finer lines under Giordano and Palmer inks. It was the Superman vs. Ali treasury edition book that introduced me to to Adams. I had to dig through a lot of back issues to find more of his work, competing with other collectors and paying the inflated prices. I’ve met Mr. Adams a few times now and still admire his work. He is good to his fans and honest with many young, aspiring artists. I was lucky enough to discover him when I was seven. I bought Batman #243 (“The Lazarus Pit”) and haven’t looked back since. Thankfully, when I started buying DC back issues, no one really cared about those books. However, getting the last few is proving to be an investment. I’ve met Adams, and agree with what you have to say. 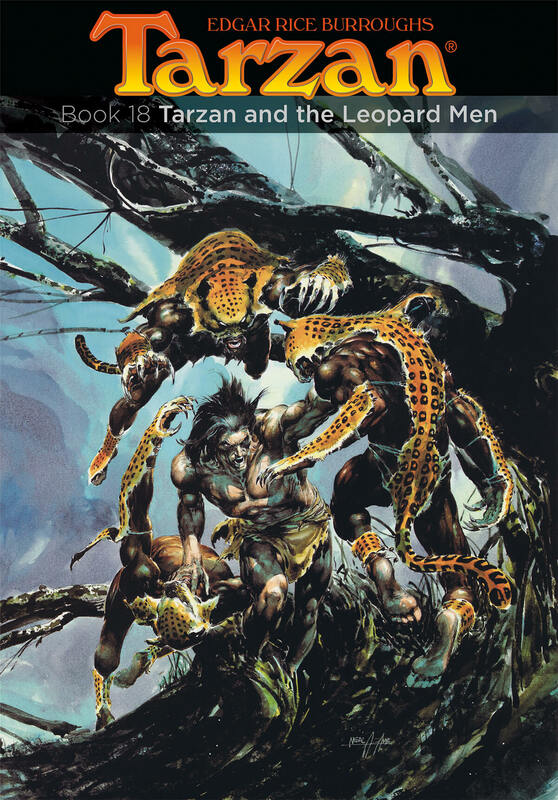 I am wondering how I could buy a print of Neal Adams’ painting of Tarzan of the Apes. I have been looking! I’d certainly like one as well. Unfortunately, from what I understand, the painting was stolen after Ballantine used it on the cover, but before prints could be made from it. It is noticeably absent from the three SQ portfolios. Adams does have portfolios and prints of the other covers available on his website, including high-quality giclees of covers that Ballantine did not use. Just came cross your blog. Digging your Neal Adams entry here. Always one of my favs. Great artwork. I have some of Neal Adams’ prints on my walls. 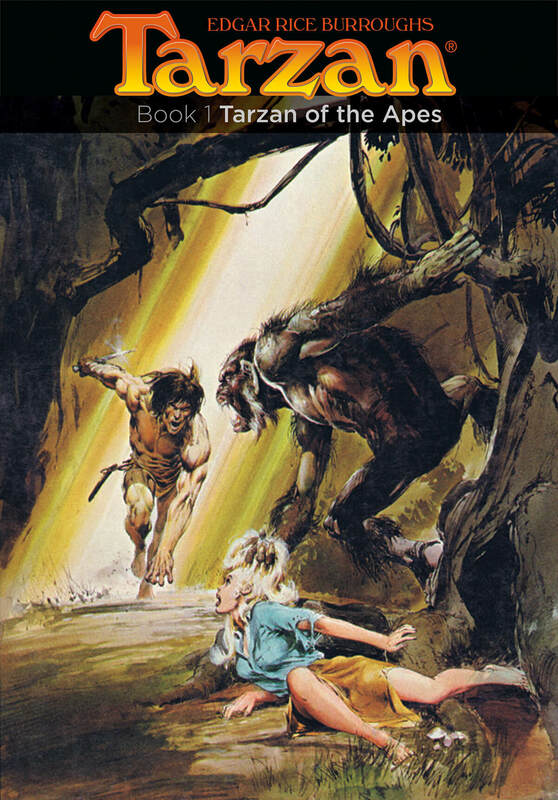 Neal Adams is a truly great artist and one of the best all time, but you were less than complimentary about Boris’s Tarzan. I think both sets complemented each other very well and in no way was Vallejo’s cold. Quite the opposite. Both sets were an achievement. Speaking as an all-time Tarzan of the Apes and art fan. Vallejo is a skilled artist and well worthy of praise and the success he has enjoyed. However, my personal opinion remains unchanged. the masters of comics. no one could ever be compared to them. Love what you have done here, especially the roughs which I have never seen (and I have sought out everything he ever did since I first discovered Adams in the 70s). I see you have a scan of the Set B Limited Edition print. I have the one from Set A and would be happy to send you a scan of it if you would like a copy to post here. I have two questions I was hoping you could answer. First, was there a Limited Edition Set C that you know of? I have never seen one that included the extra B&W print. Second, I got the first 6 books in a Boxed Set when they first came out, both for the Adams artwork and the Tarzan stories (I read all 24 books years earlier from my Dad’s collection). I was not able to get the second Adams group in a boxed set and have never seen one. Do you know if they were ever produced in that format? I don’t know if there was a Limited Edition Set C. I bought my copies off eBay, and was lucky enough to find a Set B LE when I did. I got this set of books straight from Ballantine, using the order form in the back of Tarzan of the Apes, and I’ve never run into a box set of these, so I was unaware until now they existed. Thanks for the offer of a scan. I’ve sent you an email. Thanks for sharing some of the rough work that I have not seen before. Huge fan of the way Neal Adams does Tarzan. I have even bought commissioned pieces from him. Good to see there are still other Tarzan fans out there.